Discussion with Author Paul Hockenos Berlin Calling: A Story of Anarchy, Music, the Wall, and the Birth of the New Berlin (The New Press, May 2017) is a rollicking, never-before-told account of the Berlin Wall’s momentous crash, narrated through the city’s street artists and punk rockers, underground impresarios and anarcho agitators. Berlin-based writer Paul Hockenos offers us an entirely original chronicling of 1989’s “peaceful revolution” that upended communism in East Germany, and the wild, permissive years of ferment and pirate utopias as Berlin segued back together. 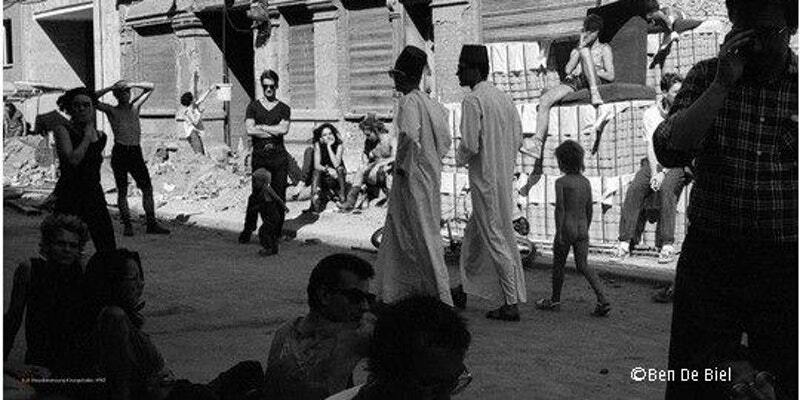 It’s the story of Berlin when direct democracy and idealism, techno clubs and sprawling squats were the order of the day. This is a story stocked with larger-than-life characters from Berlin’s highly political subcultures—including David Bowie and Iggy Pop, the internationally-known French Wall artist Thierry Noir, cult figure Blixa Bargeld of the industrial band Einstürzende Neubauten, and a clandestine cell of East Berlin anarchists. Hockenos argues that the do-it-yourself energy and raw urban vibe of the early 1990s shaped the new Berlin and still pulses through the city today. Just as Mike Davis captured Los Angeles in City of Quartz, in Berlin Calling Hockenos, an American who put down roots in West Berlin in the 1980s, explains how it is that the metropolis on the Spree became hip, and what needs to happen for it to stay that way.